Last I checked, this anime seemed to be officially unavailable, but with fansubs available at Sheep & Tojar's. The above info came from atomofish, and was edited by yours truly (contact me). The image came from mbs.jp. 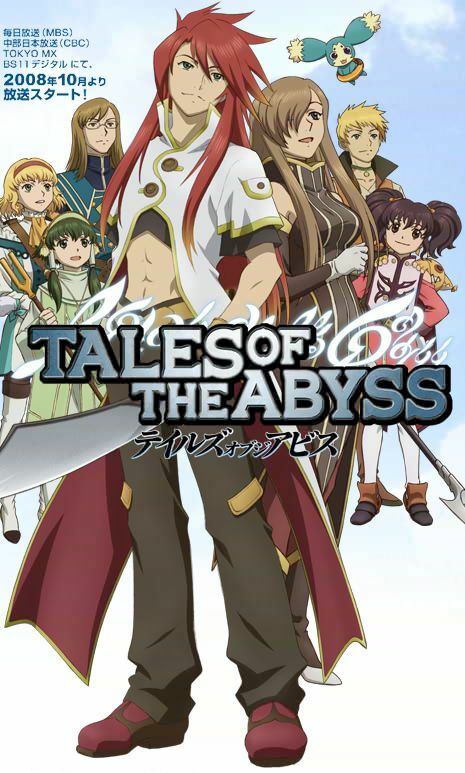 Based on the popular PlayStation 2 RPG, Tales of the Abyss takes place on the world of Auldrant, where life and the fates of its people are decided by a prophecy known as "The Score." 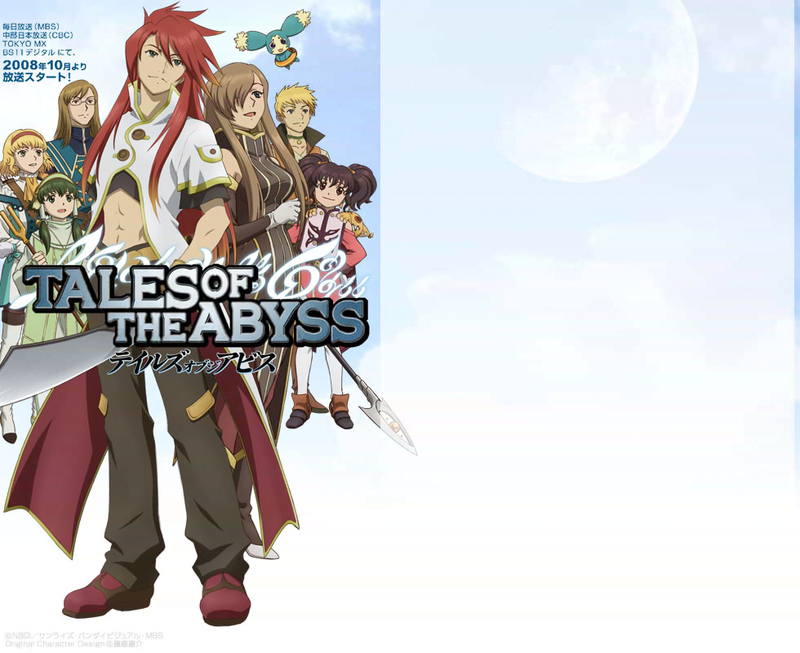 Luke fon Fabre, the spoiled son of a noble from the Kingdom of Kimlasca-Lavaldear has been confined to his father's mansion after being kidnapped by the Malkuth Empire. He has no memory of his life prior to that incident. However, his life changes when a mysterious woman named Tear breaks into the mansion with the intention of attacking Luke's teacher Van. They are accidentally teleported outside the kingdom and are sent on an adventure that will change the fate and order of the world and will tear apart everything Luke ever knew.